SenSus 3D Ventilation is an unique high-technology mattress. 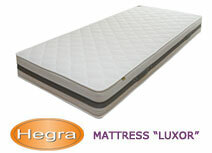 Its luxurious and comfortable modern design is a revolutionary solution for a healthy and restful sleep. SenSus 3D Ventilation is a double sided mattress with active summer and winter sides to ensure your comfort in any season. 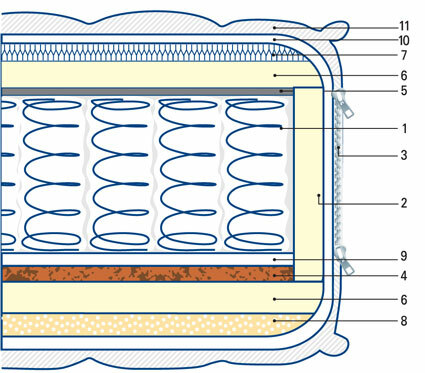 A flexible ventilating three-dimensional network (3D grid) is used inside the summer side of the mattress . This innovative design allows a continuous flow of air and ventilation as it draws out the excess heat and moisture away from the body. H igh-tech materials such as "Memory foam", developed specifically for U.S. astronauts from NASA , are used in the winter side of the mattress . 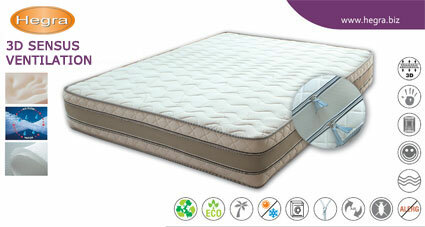 The memory foam is thermally sensitive and highly elastic allowing the mattress to adapt to each part of the body. The material retains the heat from the body and helps you rest and recover from tiredness and stress , which makes s leeping in winter time cozy and comfortable. The materials used in SenSus 3D Ventilation are hypo-allergenic, inhospitable to dust mites and not supportive to fungus and bacteria . These properties make the mattress highly suitable for people with allergies and respiratory problems, as well as for the prevention of allergies. 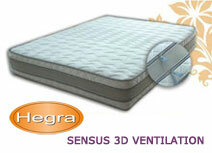 SenSus 3D Ventilation makes your sleep CELEBRATION OF ALL SENSES. 1 - Spring nucleus: contains 250 steel springs per sq. m. individually insulated in textile pouch es . This technology is recognized as world's best standard, and known as “Pocketed springs", produced by the swiss standards and process of “Spuhl”. Unique high-technology mattress. 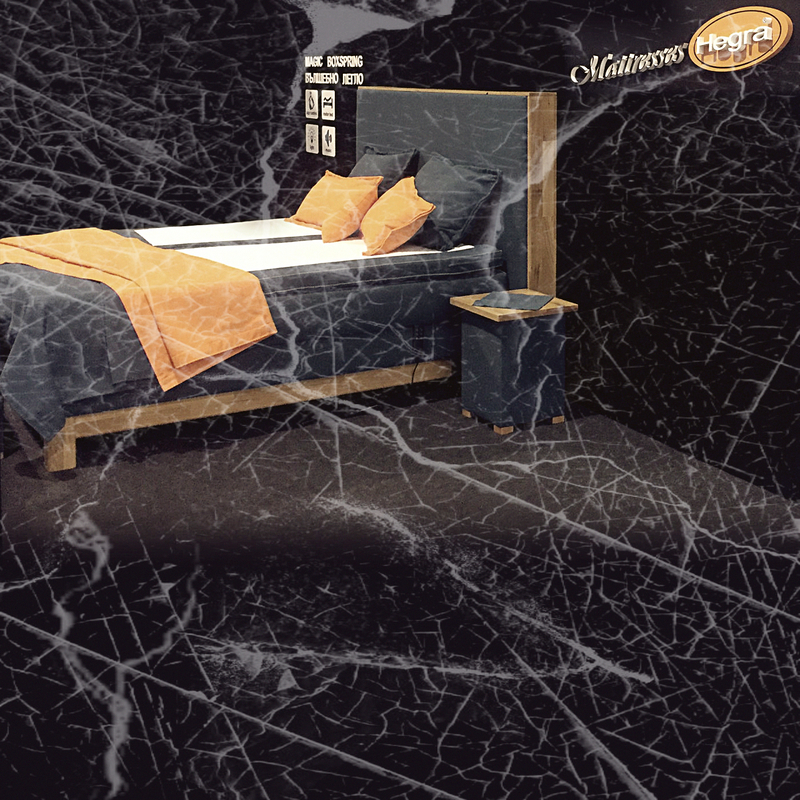 Its luxurious and comfortable modern design is a revolutionary solution for a healthy and restful sleep. It presents an optimal combination of production technology, quality materials and affordable pricing. This month, we do not offer our product at a promotional price. 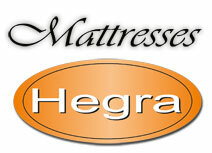 Our product sold at a low price mattress "Kapriz".